Enhance your home décor with the fancy peacock diya that is made of plain silver and lwith antique finish to keep the flame of happiness and light in your home. 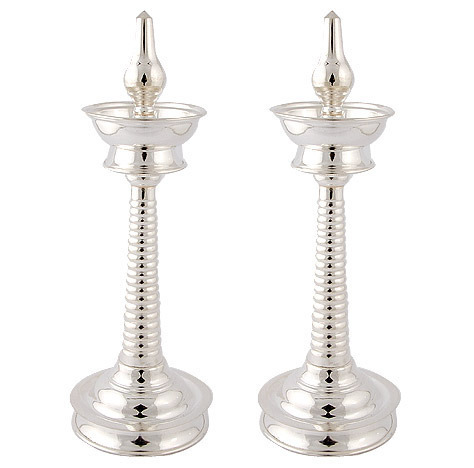 This silver diya can be used as room décor and also as pooja supplies. Silver diya made of plain silver stand and laxmi design holding the diya to keep the flame of happiness and light in your home. Use this diya for pooja offerings and during aarti. 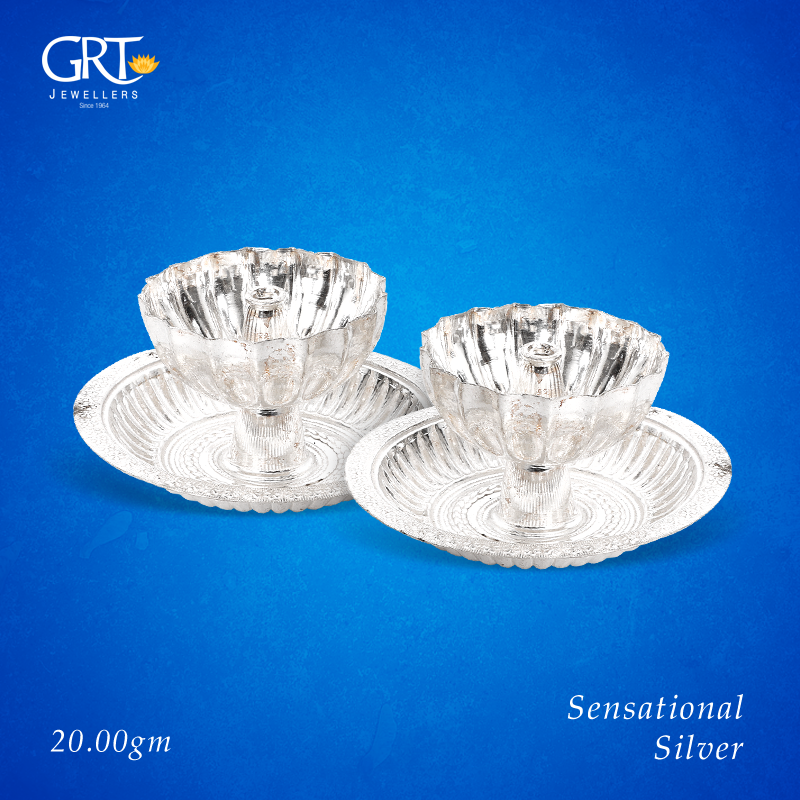 Upholding the customs and beliefs of our ancestors, we have rolled out a designer range of silver diyas and lamps. 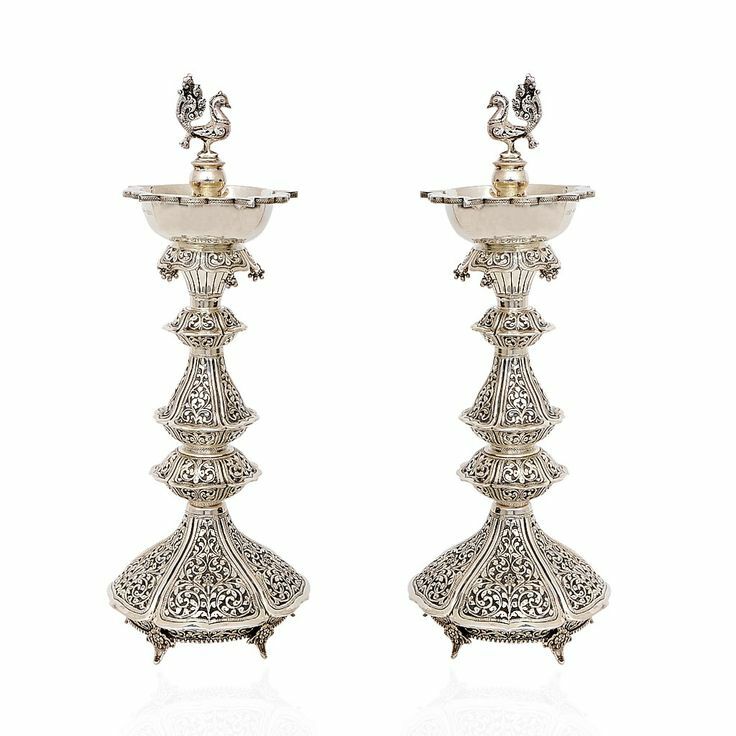 Inspired by nature, our lamps and diyas come in floral patterns, peacock designs… Silver Ekarti Diya is designed to enable you to hold the diya comfortably while performing aarti. Crafted especially for akhand diya, our Laxmi Diya will make for a sparkling addition to your home temple. There are also options in Nashik Samai that can adorn the pandals during festivals.